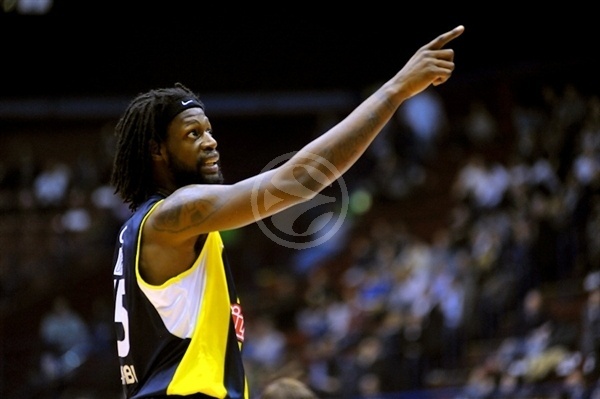 EA7 Emporio Armani Milan effectively ended Fenerbahce Ulker’s Turkish Airlines Euroleague season with an 85-72 victory on Wednesday at Mediolanum Forum in the fashion capital. 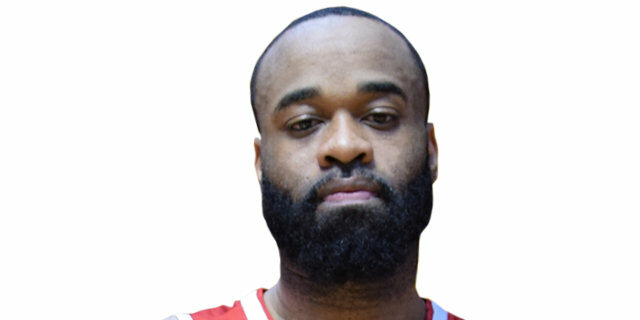 Malik Hairston poured in a career-high 27 points to lead Armani, which finished its Turkish Airlines Euroleague season on a high note with three straight wins and third place in Group G with a 3-3 record. The Turkish champs would have advanced to the playoffs from second place in the group with a win, but the loss sent Unics Kazan to the playoffs instead. After a close first quarter, Armani took a modest lead in the second and surged ahead in the third. The lead peaked at 16 in the fourth as Milan finished its season in style. Alessandro Gentile added 12 points before fouling out, J.R. Bremer scored 10 and Omar Cook tallied 10 points and 8 assists. Emir Preldzic paced Fenerbahce with 15 points and 5 assists, Bojan Bogdanovic netted 14 and Roko Ukic scored 12 and James Gist posted 12 points and 9 rebounds in defeat. The hosts jumped in front on free throws by Antonis Fotsis and a Ioannis Bourousis inside. 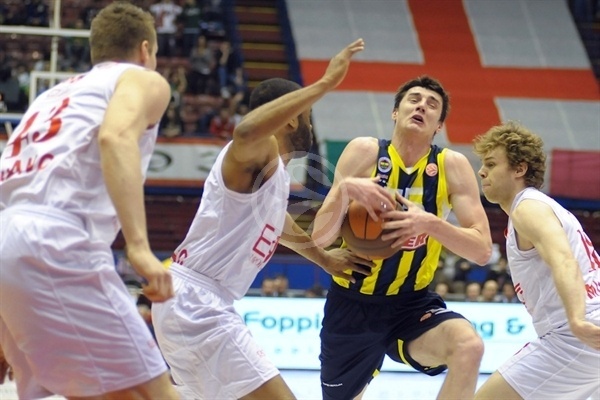 Ukic got Fenerbahce Ulker its first points, however a three-point play by Hairston made it 7-2. Preldzic used his size to penetrate for a scoop off the glass and a Bogdanovic triple gave the visitors their first lead, 7-8. Hairston responded with a jumper, but a pair of slams from Gasper Vidmar and Gist kept Fenerbahce rolling. Bogdanovic stretched the lead to 9-14. Bourousis helped trim the gap and Stefano Mancinelli’s layup, which was credited after goaltending on Gist, made it 15-16 by the first TV timeout. Ukic drained a three to keep Fener on top only for Gentile to match him from the same distance. Engin Atsur fed Vidmar in the paint and Nicolo Melli made a great pass to Leon Radosevic to finish the quarter at 20-21. 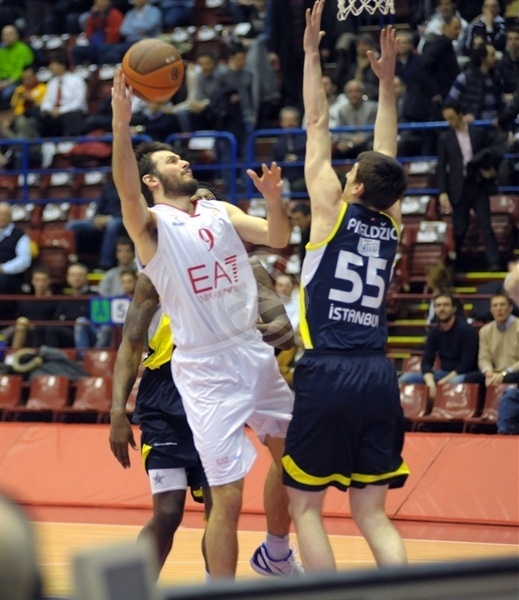 Gentile put Milan back on top with a basket-plus-foul, but Atsur responded form downtown. Gentile fouled Mirsad Turkcan going for a rebounds and the rebounding king needed to leave the floor for treatment. The three-point show continued as Ukic and Bremer swapped triples. The hosts went inside to Radosevic, who scored twice to lift Armani to a 30-27 edge. Bogdanovic put Fenerbahce ahead once more from the line, but Cook got on the scoreboard with a three for the home team. Mason Rocca added a bucket as the Fenerbahce attack stalled. 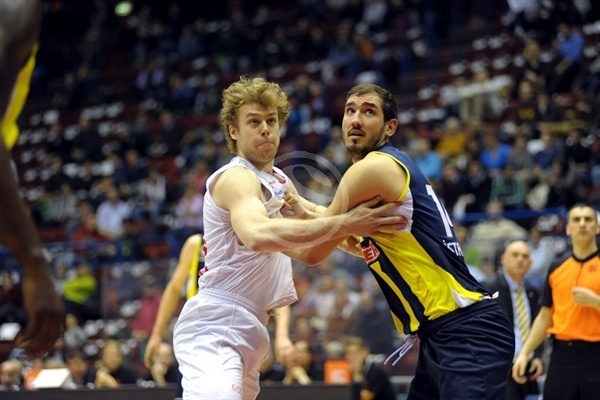 Fotsis lifted Milan to 36-32 before Ukic ended a three-and-a-half minute scoring drought for the visitors. Bremer scored from outside to keep the hosts in control. Hairston started to heat up too and his basket-plus-foul made it 44-39. Vidmar got to the line twice, but combined to make only 1 of 4. Hairston made a layup in the closing second of the half to give Armani its biggest lead yet, 46-40. Oguz Savas, who didn’t play at all in the first half, got the ball rolling for Fenerbahce with a move in the paint to start the second half. Fotsis and Bourousis pushed the host further in front, before a Hairston three made it 52-44. A second-chance basket for Hairston lifted Armani to a 10-point edge midway through the third quarter. Bogdanovic sank 4 free throws over two possessions only to see Cook respond with a three-pointer. Bogdanovic knocked down another 2 free throws, but then committed a traveling violation in transition. Then Cook found Gentile for a three and Armani went up 61-52. Bremer lifted the cushion to double figures once more and Gentile completed a three-point play to give the hosts a healthy 66-55 advantage through three quarters. The lead grew to 14 on a Bremer layup on the fast break in the first minute of the fourth quarter. Gist managed to score twice before Gentile fouled out with an offensive foul. 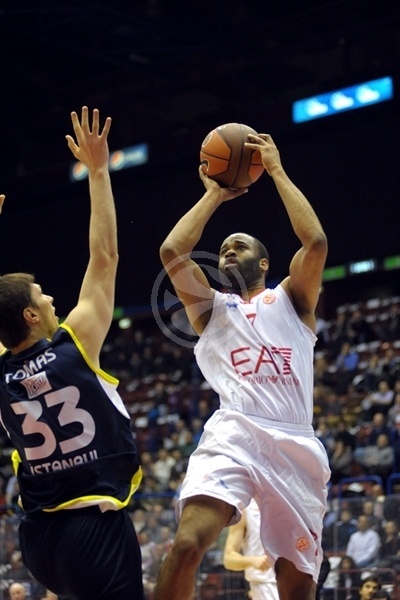 Prledzic gave FB Ulker hope, but a Hairston tip-in lifted Armani to 72-62. The visitors’ comeback hopes were further derailed when a double-technical on Cook and Peker landed the Turkish big man on the bench with 5 fouls. Preldzic connected from deep to make it 74-67 midway through the fourth quarter. 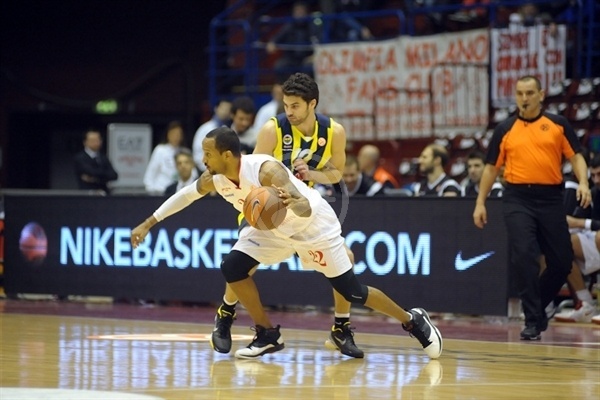 Hairston remained hot and responded to almost every Fenerbahce basket to keep Milan rolling. Cook increased the gap to 10 with a free throw and when Rocca grabbed a Bremer miss, drew a foul and pushed his team in front 80-69 with less than three minutes remaining, Fenerbahce looked deflated. A Cook triple just about sealed the outcome as Fenerbahce Ulker came to understand long before the final whistle that it’s Turkish Airlines Euroleague season was over. 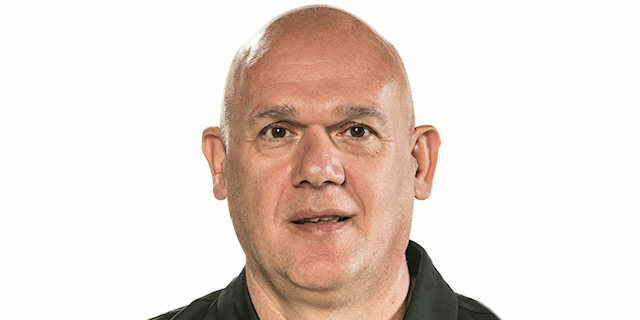 "We had the goal to complete the Euroleague with the best result for Milano in the last decade. We're happy to complete it by playing well in the second part of the Top 16 and winning tonight against a big team, full of big players and talent. Obviously we have regret because we could have advanced by scoring a basket more in Istanbul, and because we played the first three games without Hairston, but it is not time for that; it is time to think we played a big part of the game with young players like Gentile and Radosevic on the court, and this means we're also working for our future." "We're disappointed for our elimination, but I would like to congratulate to Milano. They played a very good game, we came here with big pressure, and we did not find the way to play easy basketball on either side of the court. They had very clear ideas from the beginning, and had an outstanding performance from Mailk Hairston. Those were the main reasons for their win." "There is a little regret for our elimination, but we finished our Euroleague season well with a very good performance, and I'm also happy for my game. I think we're growing game-by-game as a team, and tonight we beat a very strong team with a lot of motivation. We worked hard on defense, and also on the offensive side everybody did his job well, allowing teammates to get open shots, and this made the difference." "There was big pressure on us, because we needed to win this game, first of all, and then wait for the Panathinaikos result. We were unable to play good defense, this was the main problem, and is very difficult to win on the road if you play bad defense and allow your opponents to score so many points. Milano did a good job, they played much better than before and with nothing to lose, for them it was easier. Our percentage were also poor because we were nervous because of the pressure we had, and we are really disappointed for the result, and for our fans too."